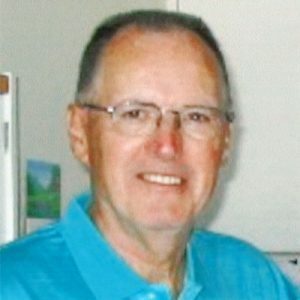 Lorne graduated from UBC in 1958 with a degree in Chemical Engineering and spent his entire career working for DuPont of Canada in Kingston, Ajax, Burlington, North Bay, Montreal and Wilmington, DE. As a boy, Lorne loved to fish on the Columbia River with his dad and his dog Rex. He was an avid sportsman in his youth and throughout his life, taking up golf and curling at the age of 10. Lorne curled until retirement and golfed until 83 years of age. He taught Joan both sports and they played everywhere they lived or took holidays. The thrill of his amateur sporting life was an invitation to stay and play golf at both Augusta National and Pebble Beach. Lorne retired at 57 years and built a home on Lake Ontario in Picton. Lorne and Joan became homesick for BC, settling in Gallagher’s Canyon, Kelowna, then Salmon Arm and finally Mission Villas, Kelowna. Sending thoughts and prayers to you and your family. Because of the age difference never had the privilege of knowing Lorne. Knew his parents Elsie ( my mom’s first cousin) and Jimmy and remember them well. Lorne will always be with you and your family in the memories you share. Sincere condolences. Condolences to Family and Friends of Lorne. Sorry to hear of his passing. I only met Lorne a couple of times but knew his father well through my dad. The times I did meet Lorne he was always a friendly and enjoy recalling fishing on the river. I hope in time the family will remember the good times to get through their loss.